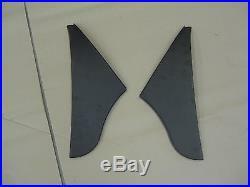 MINI PANELS FOR FRONT END INCLUDES; FRONT PANEL / BOTH WINGS / BOTH A-PANELS THESE ARE FOR MINI MPI MODELS MANUFACTURED FROM ROUGHLY 1996 WITH MOUNTING POINTS FOR THE FRONT MOUNTED RADIATORS, SIDE REPEATER HOLES AND THE NEARSIDE (LEFT) WING IS AVAILABLE WITH OR WITHOUT THE ARIEL HOLE. YOU WILL RECEIVE THE WING WITHOUT THE ARIEL HOLE UNLESS OTHERWISE REQUESTED WHEN PURCHASING. THE WINGS SUPPLIED ARE NOT INTENDED FOR SELF ADJUSTING HEADLAMPS, THESE CAN BE MODIFIED TO FIT OR GENUINE WINGS WITH CUT-OUTS CAN BE SUPPLIED AT AN EXTRA COST. 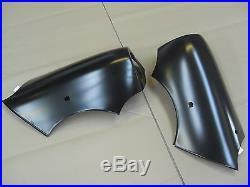 THESE ARE NON-GENUINE PANELS BUT FIT VERY WELL BONNET, SCUTTLE AND MANY OTHER PANELS ARE AVAILABLE AS WELL. SOME PANELS WAY HAVE SOME SCRATCHES TO THE PAINT COATING, UNFORTUNATELY THEY COME IN TO USE LIKE THIS. THE COATING ON THE PANELS IS TO PROTECT THEM AGAINST OXIDISATION WHILE ON THE SHELF, YOU WILL NEED TO RUB THEM DOWN AND PRIME THEM BEFORE PAINTING. AB31 - 38, 41 - 45, 51 - 56 / BT1 - 49, 51 - 58, 61 - 82, 90 - 94 / FK19 - 21 / GY1 - 9 / HS1 - 9 / IM1 - 9 + IM99 / IV1 - 28, 30 - 36, 40 - 49, 51 - 56, IV63 / JE1 - 4 / KA27, KA28 / KW1 -8, 10 - 17 / PA20 - 38, 41 - 49, 60 - 78 / PH1 - 10, 15 - 26, 30 - 44, 49, 50 / TR21 - 25 / ZE1 - 3 AND PO31 - 41. J & K SUPPLIES LTD CLASSIC MINI SPECIALISTS OFFICE HOURS: MONDAY - FRIDAY 8:30AM - 5:30PM. 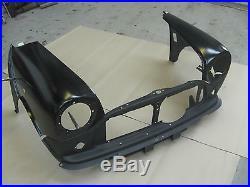 The item "CLASSIC MINI FRONT END PANELS FOR MPI MODELS ROUGHLY'96 ONWARDS" is in sale since Tuesday, April 02, 2013. 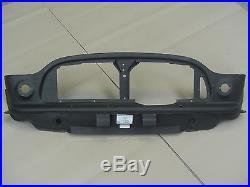 This item is in the category "Vehicle Parts & Accessories\Car Parts\Exterior & Body Parts\Wings & Quarter Panels". The seller is "jandksupplies" and is located in Burnley.